Farrah Storr began her career as Features Assistant at Woman & Home, followed by Features Writer at Good Housekeeping. Previously Storr was the launch Editor for Women’s Health magazine. Under her tenure, Women’s Health has become the most successful women’s magazine launch of the last decade. It has recorded six consecutive increases in its ABC circulation figures. Farrah has also worked as the Features Director of Marie Claire in Australia and Deputy Features Editor of Glamour UK. Farrah Storr has been the Editor of Cosmopolitan UK since July 2015. Since taking the role, she has led the magazine through a dramatic new look and introduced unique content. As seen in the latest round of ABC figures, Farrah’s makeover led the magazine to successfully grow its circulation by 57% year-on-year. She regularly contributes to broadsheet newspapers and television about a wide range of women’s issues. 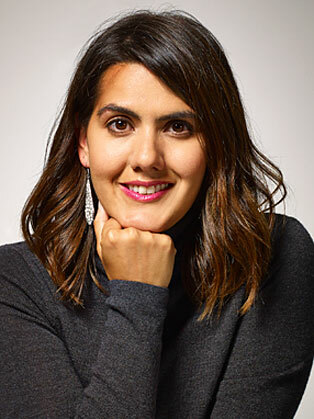 Farah is a business savvy and eloquent speaker who talks on a wide range of subjects including: The Discomfort Zone, Why Men should be Included in the Gender Equality Debate and Getting Cosmopolitan back to Number 1.